Jordanian pilot Muadh al-Kasasbeh captured and killed by ISIL. Ordinarily, I oppose the death penalty and I certainly oppose revenge killings, but ISIL left the Kingdom of Jordon no choice but to do exactly that. Jordan was in negotiations with ISIL to exchange unsuccessful 2012 suicide bomber Sajida al-Rishawi and two other terrorists for Jordanian pilot Lt. Muath al-Kaseasbeh. Jordan was willing to agree to free terrorists from death row, but required proof of that the captured coalition pilot was still alive. They demanded the proof because there had been unsubstantiated rumors that Lt. Muath al-Kaseasbeh had been burnt alive shortly after being captured on January 3. In fact, ISIL had been negotiating in bad faith. These terrible rumors were confirmed yesterday as ISIL released an extremely disturbing video showing the Jordanian pilot slowly burning to death while in a cage. Now, ISIL knows that Jordan is willing to negotiate with terrorists and that they will free killers in exchange for soldiers. Having made the mistake of negotiating with this group, the terrorists on death row in Jordanian prisons became an enormous liability for the kingdom. ISIL had a great incentive to take an additional prisoner and simply by refraining from killing him so quickly, they would expect to free their comrades from Jordanian prisons and secure a major coup for their efforts to create a new Islamic State. Al-Rishawi has been on death row for her role in a triple hotel bombing in the Jordanian capital Amman in 2005 that killed dozens…. Ziad Al-Karbuli was a former aide to Abu Musab al-Zarqawi, the Jordanian Al Qaeda operative who was killed in 2006. The National Jewish Democratic Council (NJDC) today criticized the 2011 Values Voter Summit in part because — for the third consecutive year* — the conservative conference coincides with the Jewish High Holidays. The 2011 Values Voter Summit, which will feature a majority of the Republican presidential candidates, perfectly symbolizes how the modern conservative movement does not include Jewish values under its umbrella. This year, the conference occurs on Yom Kippur, the holiest day of the Jewish calendar. Conservatives have been aggressively targeting Jews recently by touting their pro-Israel positions. But what they continually fail to understand is that pro-Israel rhetoric only goes so far. Polling consistently shows that the sweeping majority of American Jews abhor the conservative domestic policy positions — particularly on social issues — that will be discussed this weekend. With this in mind, American conservatives should explain how they intend to make Jews feel welcome in a political movement that advances an agenda opposed by most in the Jewish community and continually holds its flagship conference on the Jewish High Holidays. This year’s conference falls on Yom Kippur — the holiest day of the year — and will likely have significant ramifications for the 2012 Republican presidential ticket. Such a repeated scheduling conflict further symbolizes that the conservative movement and the Republican Party do not represent the values of most American Jews. Quite simply, this weekend’s confab is a textbook example of why Jews remain solidly committed to the Democratic Party and its positions. Leading conservative media personalities Glenn Beck and Sean Hannity are also scheduled to speak. In addition, the 2011 Values Voter Summit has many breakout sessions scheduled for the weekend that conflict with the sensibilities of most Jewish voters. While Republicans on Capitol Hill pay lip service to a supposed jobs agenda, this conservative summit focuses on such hot-button social issues as “How the Welfare State Erodes the Family,” “Exposing and Defunding Planned Parenthood, America’s Abortion Giant,” and “Straight Talk on Gay ‘Marriage'” [Values Voter Summit] — conflicting with the positions of the vast majority of American Jews. With such an extreme lineup, most Jews would be unlikely to attend. But the scheduling of the event — which makes it impossible for any Jew observing Yom Kippur to attend — takes this year’s conference to new heights in repelling Jews from the conservative movement. 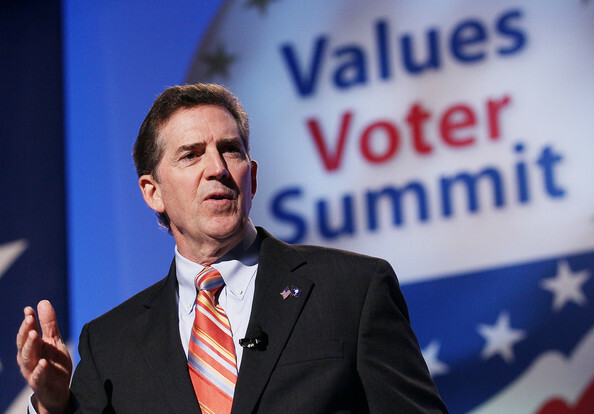 The 2011 Values Voter Summit’s content, in addition to its scheduling, contains nearly all of the elements that remind most Jews that today’s conservative movement and its Republican leaders do not reflect their values. Events such as this are a prime example of why the Democratic Party remains the historic and continued political home for the sweeping majority of American Jews. In 2010, the Values Voter Summit was held September 16-19 — conflicting with Yom Kippur, which fell on September 17-18. In 2009, the Values Voter Summit was held September 18-20 — conflicting with Rosh Hashanah, which fell on September 18-20.